India’s first 3G Mobile service operator Mahanagar Telephone Nigam Ltd (MTNL) today withdrawn its most popular Unlimited 3G Data Plan – 4500 in Mumbai circle to implement the TRAI’s new regulation. MTNL Mumbai introduced this “Advance Rental Unlimited 3G Data Plan-4500 valid for 6 month, as a promotional offer on May 18th, 2011. 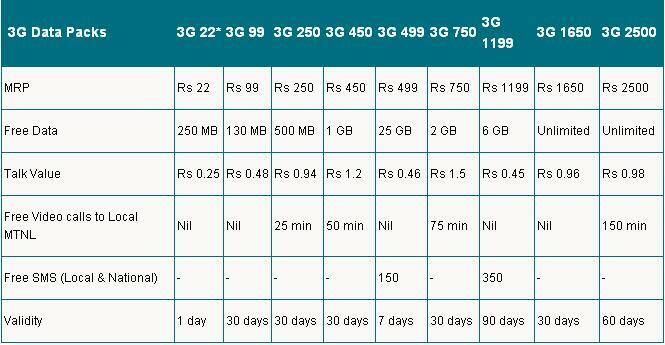 With this plan the effective cost of Unlimited 3G Data Downloads was approx Rs. 750/month. As per TRAI’s regulation all STVs should be used for Plan/Tariff and tariff validity period must be maximum 90 Days only. MTNL will also revise some other regular prepaid plans to implement the regulation in next few days. MTNL is only operators in the country, providing cheapest 3G Mobile and Data services. 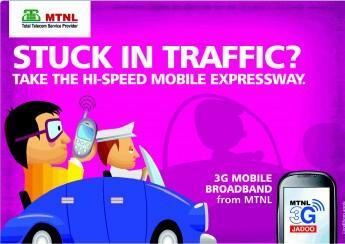 Hopefully MTNL Mumbai will launch new longer validity Unlimited 3G data plan at affordable price soon. E-RECHARGE, I CANT FIND ANY PAPER RECHARGE OF Rs. 98 AND Rs. 54 OF BSNL IN MY LOCATION..
and what about sms based recharge? ?